RJ Urmson Group launches its first website – Urmson Fire Specialists – the first of four! 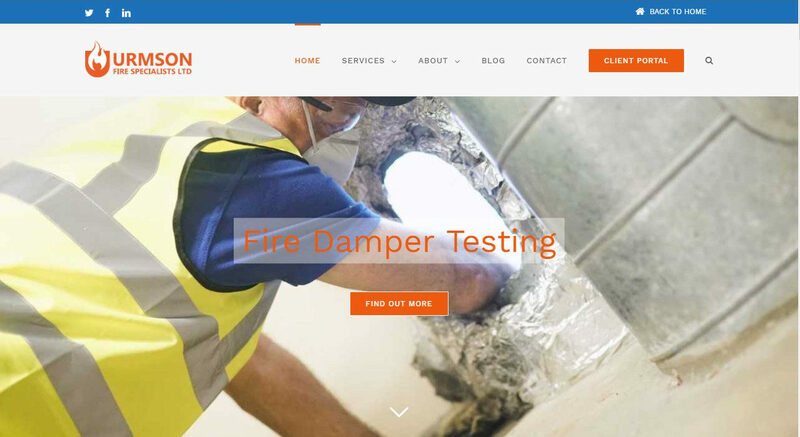 Urmson Fire Specialists (UFS), the newest company to join the expanding RJ Urmson Group family are pleased to announce the launch of their brand new website. The UFS website is the first phase of a four-part company site created in partnership with the Digital First team at UCLan. The Digital First project is funded by the European Regional Development Fund (ERDF), and provides business support services including digital strategy, app development, website evaluation and redesign, social media support, videography, CPD and training systems. Having been in the pipeline for the past three months, the arrival of the new site completely overhauls the previous content offerings, as well as giving a smoother, more intuitive user experience. The new website has a clean uncluttered design, functionality and enhanced rich content focused on the Company’s mission to provide cost effective ventilation and fire servicing solutions. UFS’s website will be updated with fresh new content on a regular basis, including developments, up to date information about our services and the stories of its people. Visitors are able to explore the new site and sign up to the RJ Urmson newsletter by visiting www.rjurmson.com. Contact us on 01257 262 683 or email fire@rjurmson.com for more information.